Stirrup Adjustment: 32" to 37"
Double T Roper Style saddle with suede leather seat. Saddle is double rigged and features roughout leather jockies. 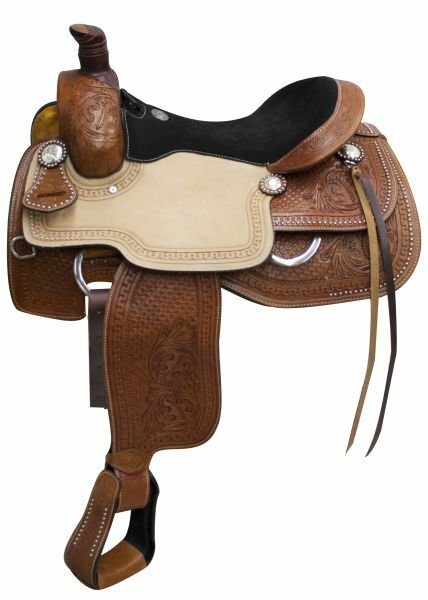 Saddle features combination of waffle pattern and floral tooling on skirts, fenders, pommel and cantle. Saddle is accented with silver conchos. 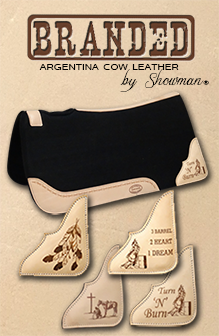 Made by Double T Saddlery.